Star director Boyapati Sreenu, who is high on with the stupendous success of Allu Arjun starrer ‘Sarrainodu,’, is preparing script up for his next film. 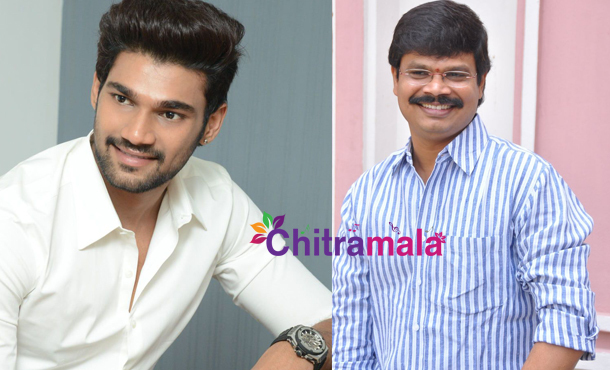 Starring Bellamkonda Sreenivas, the film will be produced by Abhishek Pictures and it will be a love story. Boyapati Sreenu, who is tagged as a mass director, is looking for an image makeover so chose to do a youthful romantic film instead of his usual mass movies. As per sources, the director is coming up with a very novel love story. He is at present working on the script and is expecting to earn fans among youngsters with this romantic drama. Even though Boyapati is getting several offers from star heroes after the success of Sarrainodu, he has decided to do a love story before moving onto the films of star heroes. Rakul Preet or Tamanna may play the lead role in the film.